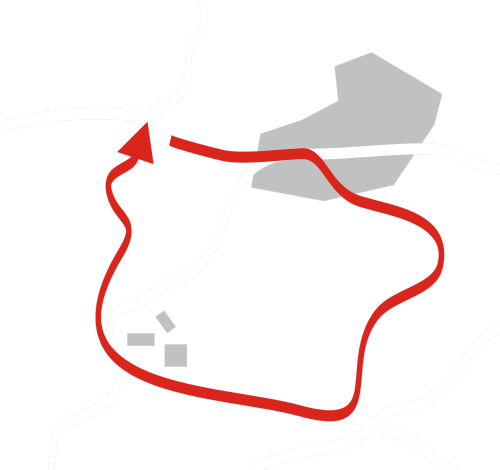 A harder circuit surrounding Litvínov will take you to Fláje dam. Although this cycling route follows an asphalt road, due to bigger altitude changes, it is more suitable for fitter cyclists. 42,3 Litvínov 350 m n.m.
Litvínov – Possible to visit the Valdštejn castle. Loučná – Possible to visit Osek castle. Fláje – Possible to visit Fláje dam.